If you spot one curbsibe, grab it and I'll be right over! I'll happily dumpster dive for my prize. What do you think of the radio flyer projects? i actually already use two of these ideas. I have a little red wooden wagon my father-in-law made for my son when he was small (he's 22 now!). I keep books in & love how it looks. I also have a small radio flyer on my screened in porch with a little fairy garden planted in it. I think that wall shelf is the coolest!!! 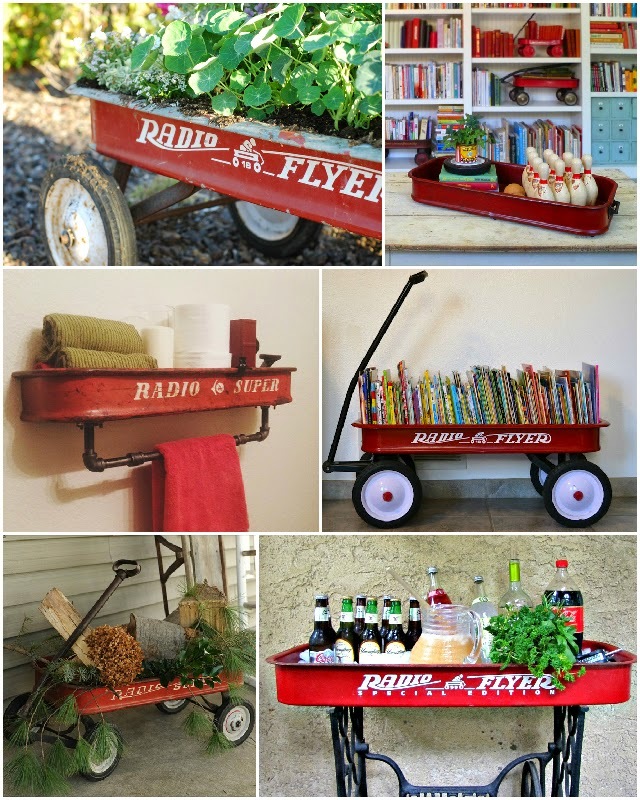 I like the Radio Flyer ideas. I have my daughter's wagon in the basement but I never thought to repurpose it. It does seem a great idea as a beverage carrier outside.